In the realm of trading, we often hear that the ultimate goal is to become consistently profitable. But what means “being consistently profitable” in trading? First of all, not so many out there actually understand what being consistently profitable actually means. Well, being consistently profitable doesn’t mean making money every day. Nor does it mean making money every week. Nor does it necessarily mean making money every year. 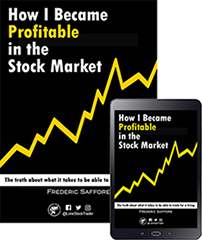 Being consistently profitable means that despite all the unavoidable losses you incur along the way, you are making money, on average, over time, as the number of trades you take grows. Trading is not about finding that one trade that will change your life forever. You may have better odds at the casino if you bet the farm on any trade. Nope. Trading is about being able to follow a clearly defined strategy that makes money over time, a strategy that will allow you to compound your money over the years. When you are able to do so, your account can grow exponentially over time (if you reinvest the profits). For instance, let’s say you start with a reasonable $10,000 capital. If, on average, your trading strategy yields a 25% return per year and you reinvest your profits, you’ll have a cool $1 million in 21 years. And $2 million by year 24, only 3 years after… That is the magic of compounding. Being consistently profitable means that the probabilities of profits of your trading strategy are skewed in your favor. This results in your strategy generating net profits after a certain number of trades. The bigger the number of trades, the more likely your profits will reflect the true expectancy of your trading strategy. 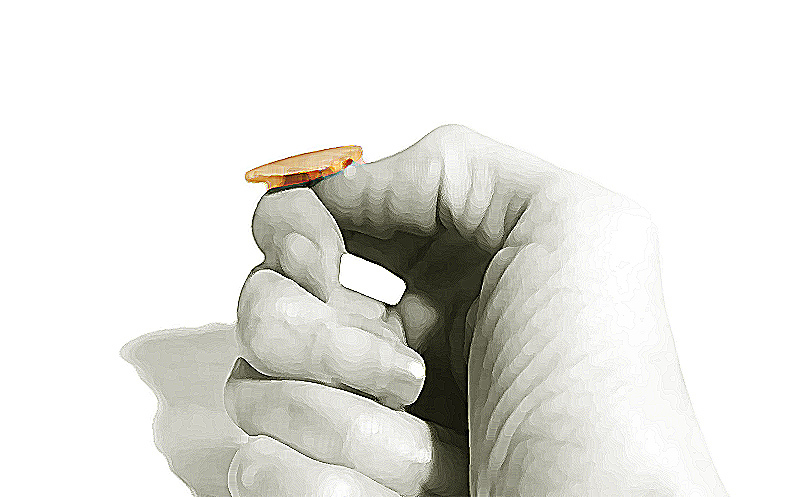 You have a coin that has a 50-50 chance of heads or tails. (Read about the formula on how to calculate the expectancy of a system here). So $10 is the expected value (profit) of that system. That means that over time, you can expect to average about $10 profit from each flip. After 200 flips, it is very likely that your average profit per flip will be close to the expected value of your system, which is $10 per flip. It worth noting that after only 4 flips for instance, it is less likely that your average profit per flip will be close to the expected value of $10. For instance if you get: Heads, Tails, Tails, Tails => +$60 – $40 -$40 -$40 = -$60. So the coin has to be flipped a large number of times (50, 100, or more) in order to reflect the true expectancy of the system. This is known as the Law of Large Numbers. And this is how casinos make money. Note: it is very important to note that the amount of capital you start with has to be big enough so your chances of going bust during inevitable losing streaks (consecutive losses) is almost zero. So in order to make money consistently in trading, you simply have to find a positive expectancy strategy. This type of trading strategy has a high number of profitable trades, but the average profits usually is lower than the average loss. Example: a strategy that wins 70% of the time with an average profit of $200 and an average loss of $400. This is typically the type of trading strategies beginner traders are attracted to, because it is human nature to want to be right most of the time. However, maintaining a high win rate can be quite difficult. This type of strategy roughly has the same number of winning trades and losing trades. However, the average profit is higher than the average loss. So by now, you know what being consistently profitable in trading actually means. And as you can see, there are several ways to reach consistent profitability. But the principle is the same. You have to find or develop a positive expectancy strategy, and trade it perfectly so that over time, on average, you win more money than you lose. Once you are able to do so, you have the power to compound your money over time in an almost unlimited fashion, unlike a regular job. That’s what makes trading so appealing, in my humble opinion.